Want to get notified when we launch out next Iron Viz contest? Register your interest and we'll let you know as soon as we launch our next contest! Are you our next Iron Viz champion? It's March, and that means it's the start of a new Iron Viz cycle! Last year Curtis Harris vizzed his way to glory, taking out the prestigious title of Iron viz champion at TC16. This is your chance to join Curtis and the champions before him as a viz legend and viz live on the main stage at TC17 in Vegas. "Iron Viz is the ultimate battle of Tableau skills. Three challengers are selected based on contests held through Tableau Public. The challengers will face off head-to-head in a 20-minute viz battle in front of a live audience at the Tableau Conference." To celebrate the launch of Tableau Public 10.2, this Iron Viz Feeder Contest is all about geospatial data. Welcome to Iron Viz: Geospatial! We want you to use the spatial file connector to create vizzes that connect to and map geospatial data. Use any data you find interesting, but make sure that at least one of your data sources is a geospatial file (note: not a custom polygon file). Learn about using spatial files in this blog post, and in the 5. Connecting to Spatial Files training video on our Resources Page). Judges will only look at entries that use spatial files. Need convincing about spatial files? 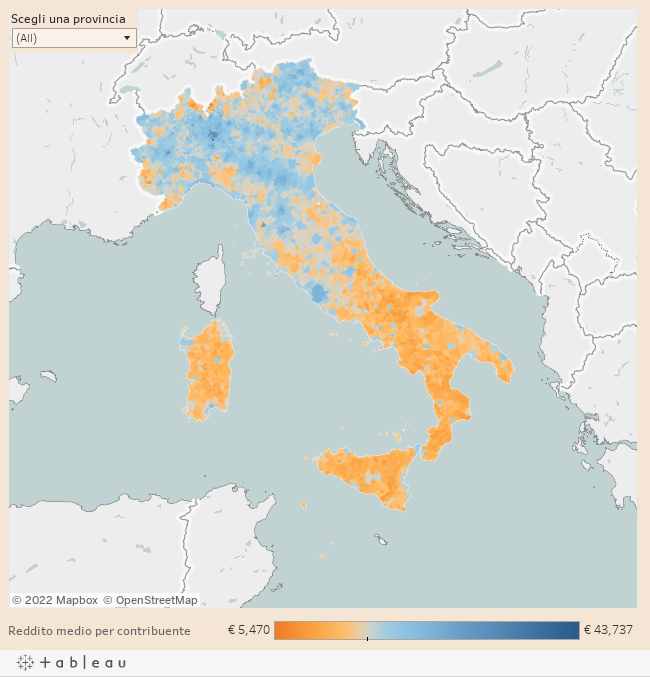 Check out this fan-geo-tastic viz by Andrea Gianotti from Il Sol 24 Ore looking at income variation by Comuni in Italy. Submit your vizzes by 26 March, then vote for your favorite(s) on Twitter through 2 April. We'll announce the winners on 3 April. May the best viz win! Iron Viz is now open for entrants from Austria, Australia, Belgium, Canada, Denmark, France, Germany, Ireland, Japan, Netherlands, Norway, Singapore, Spain, Sweden, United Kingdom, and the United States.